Apple, it seems, doesn’t have a lot of ideas for the Mac. Sure, they changed the operating system’s name from OS X to MacOS, and Siri is setting up shop on the menubar. But Mac users hoping for big revelations at WWDC were likely disappointed. Apple spent more time talking about stickers for iMessages than the Mac. Here are a few things we think Apple should bring to the Mac. None of it would be magical or revolutionary; it’s more like low-hanging fruit. But we think Mac users would be happy to see any of these things happen. One of the nice things about MacOS is the wide variety of clean applications that serve a single defined function. Calander, Notes, Reminders, and other applications all do one function very well, without getting in the user’s way. And then there’s iTunes. In ancient times (2003) iTunes was a music player and little else. But these days iTunes is a bloated mess of an application, because it does way too many things. This is hardly an original complaint. It’s a decade old at this point. But it’s still amazing how many things iTunes does, and how often Apple adds new features. As of now, iTunes.app is all this and more. We could go on. If you were building MacOS from scratch, right now, there is no way you would bundle this particular combination of features inside a single application. 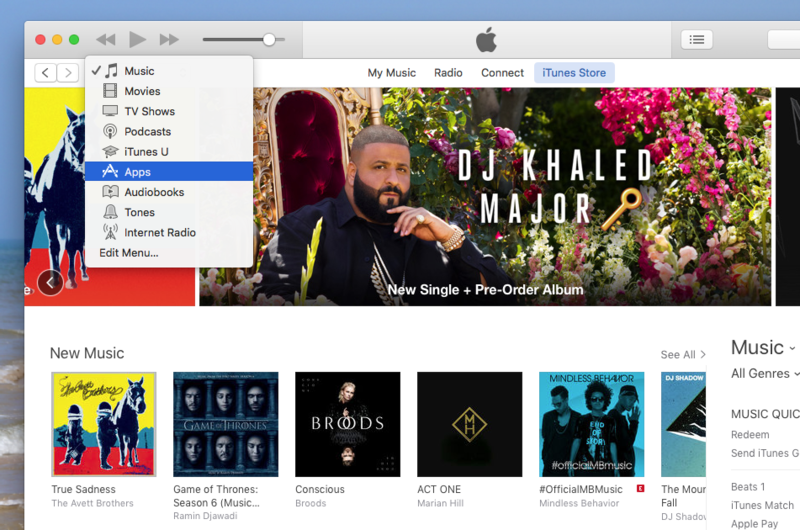 Users have wanted a leaner, faster iTunes for a long time, and the only way that happens is if some of these things get dedicated applications. 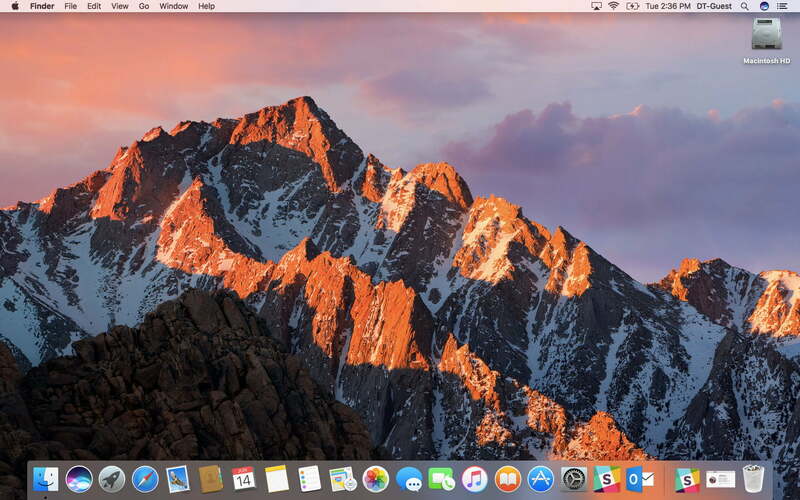 It’s low hanging fruit, so far as MacOS improvements go, and would make iTunes more like other Mac applications. That is to say, a program that does one thing very well. There was a time when the Dock felt revolutionary, but it’s felt like a relic for a long time now. Part of this is just the passage of time, but Windows has also come a long way when it comes to application management. For one thing, on Windows systems, hovering your mouse over an icon shows you a thumbnail of every window open in that applications. MacOS does nothing like this. Adding features like this to the dock wouldn’t be complicated, but could make life better for Apple users. Speaking of features Windows already has, let’s talk window management. On Windows systems, dragging an application to the left or the right of the screen automatically resizes it to take up half the screen. With Windows 10, you can drag a window to a corner, splitting the screen into quarters. On a Mac, doing this does nothing. 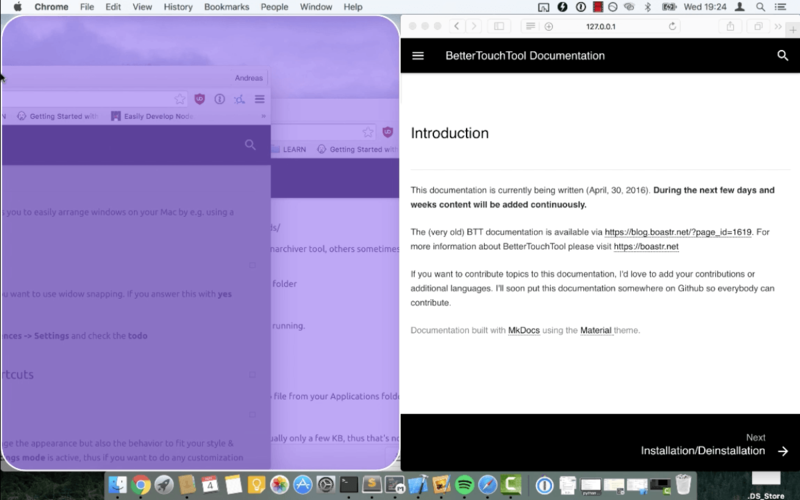 We know that Apple could easily add this feature, because the BetterTouchTool can add them to MacOS right now. But it’s absurd that Mac users need a third party program to get features Windows offered a half decade ago. Yes, Apple offers a split screen view for two apps in fullscreen mode. Some users might prefer that. But why not offer both?